Still, the South Korean President took advantage of the situation in order to deal a blow to the Defense Security Command where his political opponents were entrenched in. On 16 July Moon Jae-in demanded to see all the relevant documents from the Ministry of National Defense and other subordinate bodies. He then remarked that although an assigned group of military prosecutors were to investigate the situation, he, as the Commander-in-chief, would like to familiarize himself with the case. This is a clear sign observed earlier with cases that conservative presidents took control over, the justice system subsequently failed to uncover anything that was contrary to these leaders’ views. Aside from the military plot, the defense intelligence service suddenly, but at the same time predictably, became embroiled in (or “embroiled in”) several notorious cases that have agitated the community. For instance, it came to light that the agency had relatives of the Sewol ferry victims under surveillance. In addition, it became public knowledge (to be more precise, the information came from a reliable source) that the notorious story of the 12 restaurant workers was, in fact, handled by the military and not the national intelligence agency. The defense service was responsible for transporting the manager and his colleagues from the restaurant to Shanghai, while the National Intelligence Service became involved in their subsequent transfer to Malaysia. Since intelligence agents acting abroad do not reveal their affiliation with any given agency, the restaurant manager could have easily mistaken one intelligence officer for another. In 1993, President Kim Young-sam prohibited the Defense Security Command from becoming involved in “civilian matters”. Hence, from this viewpoint, spying on civilians (which the police and the prosecutor’s office should have been responsible for), and instigating measures to counteract mass protests is very much outside the agency’s purview. On 20 July, the president’s spokesman Kim Eui-kyeom stated that plans for introducing martial law, presented by the Ministry of National Defense in response to a special presidential order, included substantial changes and differences from their original versions (plans have to be updated every 2 years). For example, instead of the Chairman of the Joint Chiefs of Staff, Chief of Army Staff would have taken control of martial law command, while national intelligence services would have been subordinate to the defense intelligence agency. In addition, the need for arrest and removal from the political sphere of opposition within parliament were of underlying importance. On 21 July, the South Korean administration made another document public, which included provisions for limiting press freedom and restricting parliamentary activities if anti-government protests had intensified. The sixty-seven-page plan called for press censorship immediately after the introduction of martial law, as well as arrest of parliamentarians taking part in street protests. On the same day Moon Jae-in heard a report on intelligence agencies’ activities, and for the first time after coming to power in May of last year, he announced that the government was never going to use the National Intelligence Service for political purposes; he also promised not to demand personal loyalty to the President from the intelligence agents, and he appealed to these agencies to initiate internal reforms in order to eliminate the possibility of becoming involved in political scandals in the future. And finally, the special independent investigative body began its work, and in August it will have to present the results of its investigation. The commission includes 30 military prosecutors and investigators from the navy and the air force. They are divided into 3 teams, one responsible for coordinating activities, another for investigating preparations towards introducing martial law, and the third for investigating allegations of spying on the relatives of the Sewol ferry victims. The commission’s first task is to determine on whose order the Plan to Introduce Martial Law was created, and whether it was going to be implemented. The plan is to question dozens of former and current high level military personnel. The investigative committee does not only have the documents turned in by military personnel to the President’s Office, but also detailed information from a certain USB of unknown origins, which is a “key piece of evidence” in the case. According to investigators, analysis of the USB flash memory chip confirmed the presence of the documents linked to the marital law and other “detailed information”. Official documentation was actually received after the fact. On 27 July, during the meeting to hear the report on the Defense Reform 2.0 Project, Moon Jae-in stated that placing relatives of the Sewol ferry victims under surveillance, and considering the possibility of introducing martial law by the Defense Security Command were against the law, and a relic of the past. Moon Jae-in urged that a plan to reform the defense intelligence agency to be prepared as quickly as possible, so that, in the future, the body would perform its direct functions, as this an issue of preserving statehood. 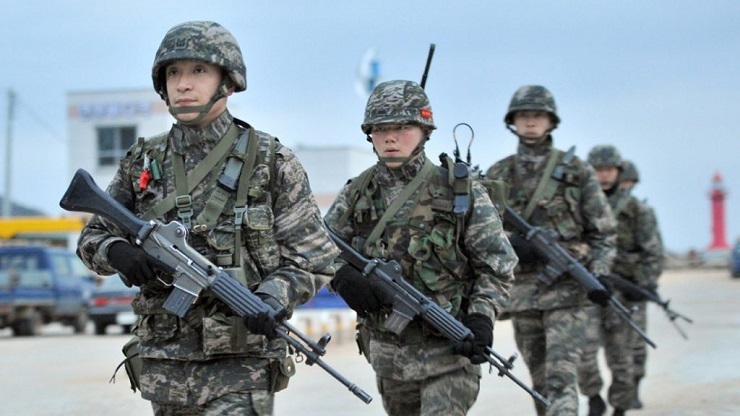 The corresponding reform draft was handed to the South Korean Minister of National Defense on 2 August proposing that the Defense Security Command be downsized by 30%, so that out of 4,200 command members, only 3,000 will remain; the number of generals will be reduced from 9 to 6, and, most importantly, the intelligence agency will no longer have the right to contact the President directly. Overall, this signals the dissolution of the command. On 3 August Moon Jae-in reviewed the draft and tasked the administration with implementing substantial reforms within the Defense Security Command, he also announced that it will be headed by the General Nam Yeong-sin. Hence, even if the investigative committee decides that the command was not planning on staging a coup, the defense intelligence agency’s capabilities are a mere shadow of their former self. And another curious detail worth mentioning to end this narrative is that on 3 August Moon Jae-in returned from a 5-day vacation, which he spent at the Gyeryongdae military base in the South Chungcheong Province. According to the administration, the vacation spot was chosen to ensure that it would be easy to reach the South Korean leader in case of an emergency, but the author suspects that something foul is afoot, and that the story about the military coup will continue gathering steam.